Will Djibouti become the Singapore of Africa? The tiny country on the Horn of Africa hopes to use its strategic location to boost trade and diversify its economy. The tiny nation of Djibouti has set its sights on becoming the Singapore of Africa, a trade hub that takes advantage of its location on one of the world’s busiest shipping routes. China’s recently announced plans to build a naval base in the Horn of Africa country gave a boost to Djibouti’s ambitions. Other plans, with a price tag of $12.4 billion, include expansion of port facilities, two new airports, as well as a $4 billion rail link with Ethiopia, Djibouti’s land-locked neighbor. 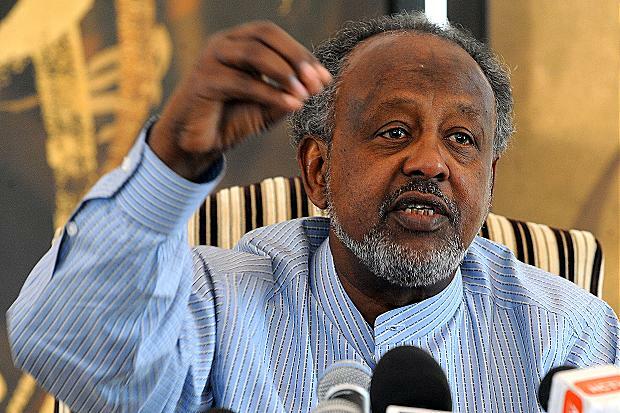 “We want to follow the path of Singapore,” Dijbouti president Ismail Omar Guelleh said. China is playing a significant role in Djibouti’s development as the Asian nation seeks to expand its influence in the region and secure trade routes with its “One Belt, One Road” initiative. Chian is financing most of the $12.4 billion in improvements as well as the $4 billion rail link with Ethiopia. Work is expected to start soon on the Chinese naval base, which will be located at the new multi-purpose port of Doraleh. The two countries have agreed to a 10-year lease for the base with China paying rent of $100 million per year. The base will house about 10,000 Chinese troops and is expected to boost local employment and businesses. 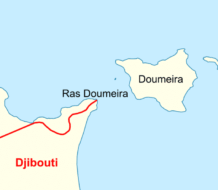 The United States and France already maintain naval bases in Djibouti. Djibouti’s plans call for development of a second port, also at Doraleh, designed to handle container shipments. China is also providing support for two new airports Djibouti is building at a cost of nearly $600 million. With these projects, Djibouti hopes to increase both cargo shipping and tourism, which makes up a small part of its economy. One airport at Ali-Sabieh, south of the capital will be capable of serving 1.5 million passengers and moving 100,000 tons of air cargo annually. It is expected to begin operating in 2018. A second, smaller airport will be built in northern Djibouti. Designed to handle more than 750,000 passengers a year, it is expecting to start operating in 2016. China also is building a $4 billion railway line that will link Djibouti with Ethiopia, one of the fastest growing economies globally, which gets about 90 percent of its imports through Djibouti. The rail line will give land-locked Ethiopia a link to the sea while Djibouti will gain access to a market of 95 million people. Djibouti, one of the poorest countries on the continent, envisions becoming a middle-class country in two decades in its “Djibouti Vision 2035” blueprint drafted with the help of the World Bank. Ports and trade are already at the center of Djibouti’s economy but the nation hopes to diversify. More than two thirds of Djibouti’s gross domestic product comes from the services, primarily port and trade-related operations. The remainder is from manufacturing and agriculture. Poverty is prevalent and unemployment is 60 percent in urban areas. The literacy rate is 70 percent. Djibouti seeks to further diversify its economy by becoming a regional financial hub for foreign investment, including Islamic banks. China and Djibouti also signed deals for banking and free trade zones. “Nowadays we are shifting to a much more integrated development plan. We’re trying to diversify our economy,” Djibouti finance minister Ilyas Dawaleh said. Dawaleh noted that his country has enjoyed strong economic growth in recent years – 6.5 percent of gross domestic product in 2015 and 5.7 percent in 2014. 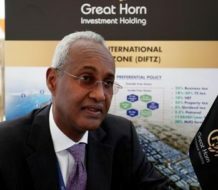 He predicted Djibouti will achieve double-digit annual growth in the next three years. “This is our target with our diversification strategy we are undertaking now,” he said. Dijbouti is one of four countries that make up the Horn of Africa and the only one that has been largely peaceful for the past two decades while its neighbors across the Gulf of Aden – Somalia, Eritrea, and Yemen, have endured conflicts. This has enabled Djibouti to emerge as the main military and maritime hub in the troubled region even though the country is largely undeveloped. Africa, Business, Featured Will Djibouti become the Singapore of Africa?